Culpeper Kids Magazine Cover! « Kristen Gardner Photography | the blog. 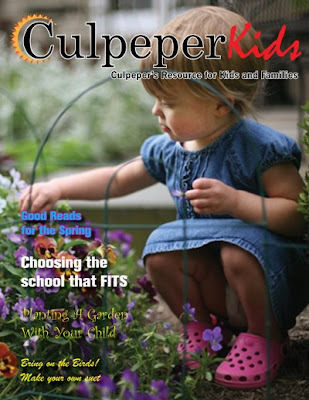 For the second season in a row, Culpeper Kids is using one of my photos for their cover! I was so honored! This particular picture is from a sweet session with Caroline and her family. You can check out the shoot here. Culpeper Kids is a wonderful resource for parents and kids in our area. If you want to see the entire issue, check out their website and click on the magazine in the top left corner. Happy reading! Kris, that’s great and such a sweet shot! How very cool! Congrats, Kristen! It’s a gorgeous photo and it’s certainly cover-worthy. This is so great, Kristen! Congrats! Keep em’ coming :)!